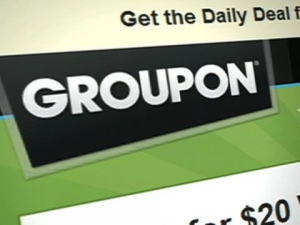 Is Groupon About To Go Bankrupt? Wow… the story line with Groupon’s financials, and their looming IPO, continues to grow more thick by the moment. According to CBS Business analysts, Groupon really has only three options, on paper, for pulling itself out of a financial deficit – look at the three options below. Groupon is actually losing more money than it’s making. And because Groupon’s business model is such that is takes in revenue and accounts for it on their books instantly, but delays paying merchants, some have even called Groupon one big ponzy scheme. The business model that Groupon employs is, in my opinion, the equivalent of leveraged debt. Basically, in order to keep your business afloat, and growing even, is to have a continual stream in upfront cash. But the payment to the debt is then spread out over time, years even – pay me now, and I’ll pay you back over the next 20 years. And this Ponzi scheme, or leveraged debt scenario looks even more scary when you consider the fact that in 2010, Groupon’s expenses were two and a half times its gross profits. And just like the real estate market showed us in 2007 and 2008, it doesn’t matter how big of a company you are, you’re never too big to fail. And if money stops flowing into Groupon, or Groupon’s revenues continue to decline, then that upfront money it relies on heavily will dry up. And no company is too big to fail. Oh wait… the U.S. Government could come in and bailout Groupon, but something tells me the U.S. economy doesn’t hinge on the success of daily deals.